Last month, Brash Entertainment laid off 20 workers and axed some projects, but pointedly remained committed to publishing a game based on the film SAW. Now that has been cut loose. 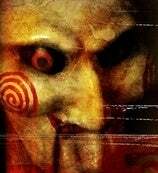 The blog Bloody Disgusting, quoting unidentified sources, says SAW is seeking a new home. The project was near completion and voiceover work had already begun. Of course, this is similar to how Ghostbusters bounced about when Sierra bit the dust — movie IP, nearly finished game — and maybe that bodes well for SAW's survival. But they're also completely different films, with different fan bases, so who knows. When last heard from, SAW was a third-person survival horror game, produced by David S. Cohen and powered by Unreal Engine 3. Decent credentials, so if you were at all curious about this game, there's a reasonable shot you could see it.